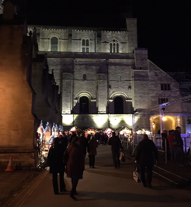 Winchester is, in my opinion, one of the most beautiful medieval cities in the world and home to the SCBWI British Isles annual conference. 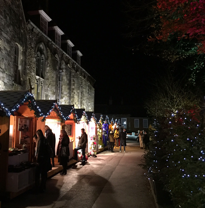 Though far, far away from any Teutonic border, the seasonal Christmas Market was in full swing. There were promises of authentic German sausages and fried potatoes (No they weren’t. Sorry. ), spiced mead and gourmet cheese sandwiches (y'all, the sandwiches had proper streaky bacon on them ... yes!). The cherub voices of the boys’ choir penetrated the thick cathedral walls and filled the lit courtyard with sounds of joy. It was definitely a moment. But the real moment came when I arrived at my final destination: The SCBWI Writer's and Illustrator's Conference - New Readers Ahoy! The lineup was stellar. 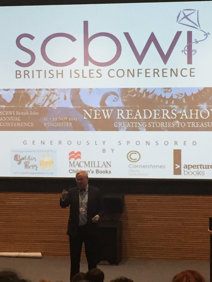 Natascha Biebow, author and SCBWI British Isles Regional Advisor, opened the conference with a talk about why empathy is so important in everything we do. 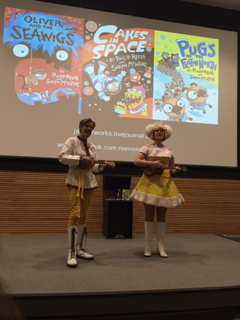 Georg Kirk, Co-chair of Conference Committee, impressed with her ukulele and gave us an original song about Philip Reeve and Sarah McIntyre, keynote speakers and author/illustrator duo of Oliver and the Seawigs, Cakes in Space, and Pugs of the Frozen North. 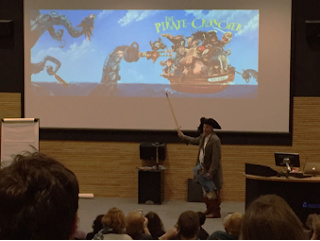 Sarah McIntyre and Philip Reeve serenade us with a sea monkey song. Whatever you wanted to do/be as a kid, bring it into your story. Kids will relate. Take the liberty to be silly! Fly your freak flag: dress in your characters, but beware! Once a sea monkey, always a sea monkey! 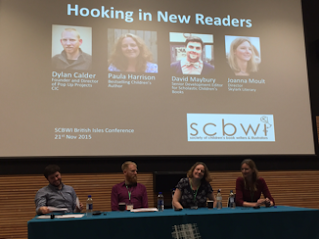 Always stand up when you're on a reading panel. It shows energy and it will make you look more on game then the reader next to you! Books should have theme tunes... yep, theme tunes. One fabulous speaker followed the next. Jonny Duddle, illustrator extraordinaire and visual re-imaginator of J.K. Rowling’s Harry Potter books talked about how his meager beginnings of being a pirate (yup, he lived on a pirate ship for a year) shaped his future. The 10 years between his first rejections to his submission that was finally accepted is a true inspiration for Don't Give Up! There were several breakout sessions that morning. In one session, a panel consisting of David Maybury, Commissioning Editor at Scholastic Children's Books, Joanna Moult, Director at Skylark Literary, Paula Harrison, writer and author of The Rescue Princesses and Dylan Calder, Founder of Popup Projects CIC gave us insight into how to hook in new readers. Don't hamper the desire of children to read, even if it's a comic book. Storytelling is instinctive and cannot be planned. It's all about the magic. If you write it (well) and do it with passion, the story will form. Given a good selection of books, almost every child will find something they love to read. 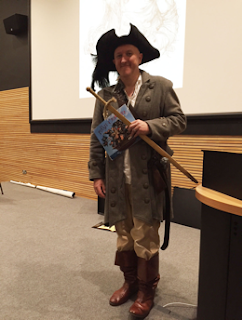 Live interactions like school visits are extremely influential and add a new dimension for perhaps hesitant readers. Writers need to be aware of (social) platforms that children are using like Snapchat, Vine, and Instagram. Attention: Teenagers do not use Facebook. Very. Uncool. 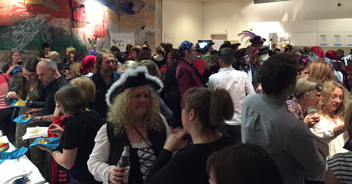 This year the gala event was held at the Winchester Discovery Centre and sea inspired fancy dress was in order. There were swashbuckling pirates, mermaids, mermen and anything having to do with the sea, swaying to the live musical quartet. A mermaid won the fancy dress contest (yay, Kathy Evans!) 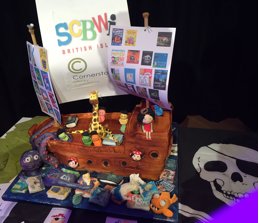 and the mass book launch finished with a designer cake. Books. Cakes. Pirates. It was a good evening! The grand finale came on Sunday morning when David Fickling graced us with somewhat controversial keynote. For two lovely minutes to warm us up, we put on our dancing shoes and escaped to Jack Rabbit Slim's. Uma Thurman and John Travolta would have been proud. The keynote was a tale of David and Goliath. A tale of two worlds; both of which David has been a part of. Having just recently broken away from one of the $30 billion earning publishing houses, David enlightened us as to how a smaller publishing house can be mightier than the giants. His example: Running Girl by Simon Mason. While it was at a big publishing house-that-shall-not-be-named, it only sold 1200 books over several years. After only 6 months at David Fickling Books, it sold over 10,000 copies. The moral: thinking big sometimes mean thinking small. In addition, we learned of famous writers from the past like the bard William Shakespeare and who received no royalties for their work. Zero. Nada. Naught. And it appears that Mr. Fickling is also an inspiring bard. He recited Sir Thomas Wyatt’s sonnet Whoso List to Hunt, I Know Where is an Hind. What can I say? Only he who looketh dapper in a bowtie, mayeth recite an ancient sonnet about Anne Boleyn and cometh away unscathed by the masses. I can’t wait to see how they will top it next year. One thing is for sure: I need to fill my closet with more fancy dress! Teara Kuhn is an aspiring writer of children's books. 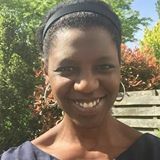 When she's not writing, she enjoys travelling, cooking and dabbling in design and all things beautiful. New Scrawl Crawl in Düsseldorf November 7th!